Sweet, sweet lobster meat! I have yet to meet anyone that has tried lobster and does not fall in love with it. Unless you are allergic to shellfish, I think that once you try lobster you are hooked. 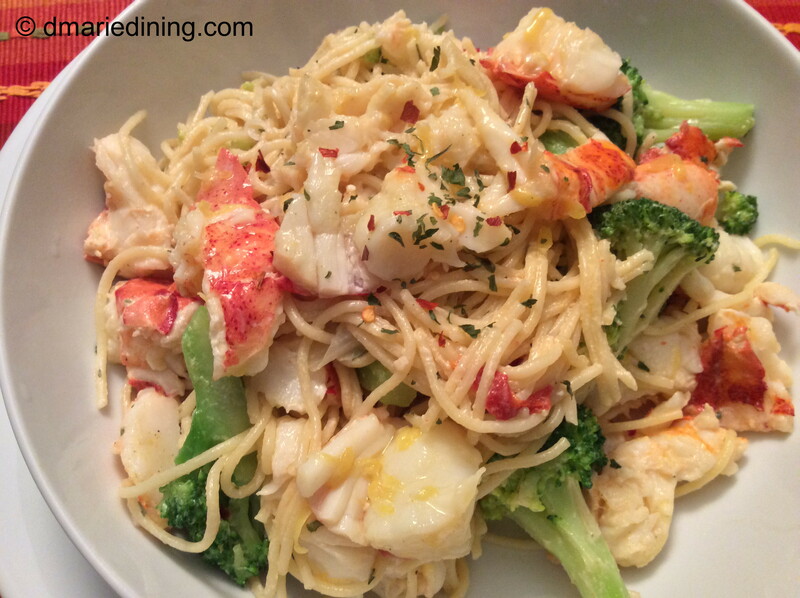 Whether you dip it in melted butter and lemon juice or create a Lobster Pasta I know you will enjoy a meal made with lobster. Okay, I can hear the rumblings already about how expensive lobster can be. That is true. Lobsters can be expensive which is why I am always on the look out for lobster tail sales. Most of the meat is in the tail anyway so who needs the whole lobster. I would only buy a whole lobster if it were on sale and if I wanted to make a flavorful seafood stock with the shell. 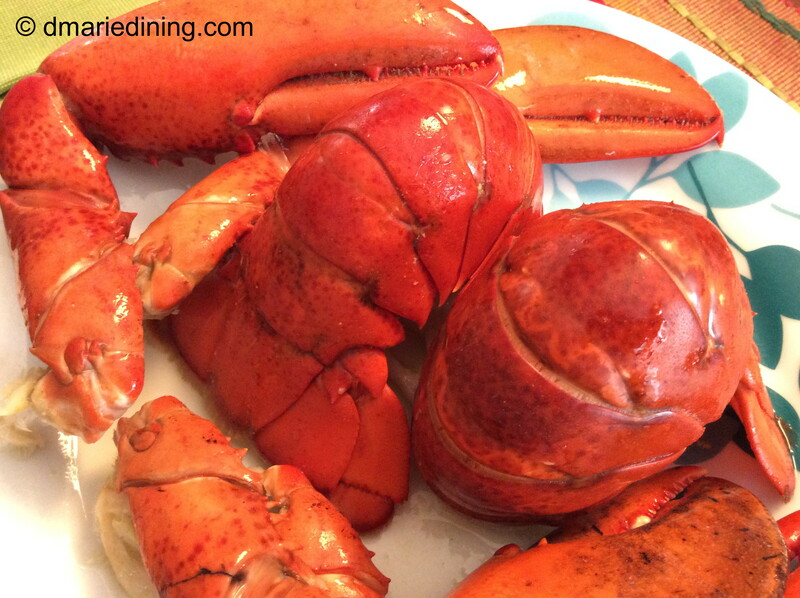 Lobster tails, of course, can still be pricey depending on the size but much less expensive than a whole lobster. If you find lobster tails on sale, pick up a few and freeze what you don’t need to use for a recipe. They really do freeze well. Now back to my Lobster Pasta. I started out thinking about making a lobster pasta salad but got side tracked and landed on making Lobster Pasta. Maybe because I have seen so many Olive Garden commercials lately showing creamy pasta dishes with splashes of seafood. Or, it could be the fact that my family loves pasta and it is the easiest way for me to get them to try out new recipes. Since they love seafood and they love pasta I just put the two together. I probably shouldn’t tell this story but I don’t think hubby will know. When hubby and I first got married I thought I would make a special lobster anniversary dinner. I found a couple of nice sized whole lobsters on sale at the fishmonger and although I had never cooked a live lobster I was game to try. I wasn’t sure if they would make noise like crabs do when you put them in hot water but since they had little rubber bands on the claws I figured they wouldn’t be too wild in the pot. I was able to cook the lobster without any trouble and made a beautiful salad, another side dish and a lemon butter dipping sauce. I placed the whole lobster on a plate with the rest of the meal to create a delightful presentation to hubby. Because it was our anniversary I decided to take dinner to hubby with a big smile on face. As soon as he saw the lobster on the plate he had a little freakout. The beady eyes, the long antenna and big head was too much for him. Hubby said there was no way he could eat the lobster looking at all of that. So, I had to take the lobster into the kitchen and broke it down to a tail and two claws. Needless to say, this is another reason why I only buy lobster tails and not whole lobsters. I don’t want to freak out hubby! Prepare pasta according to package. Toss with a little olive oil and set aside. Bring 4 cups of water to a boil with 1 tsp of salt. 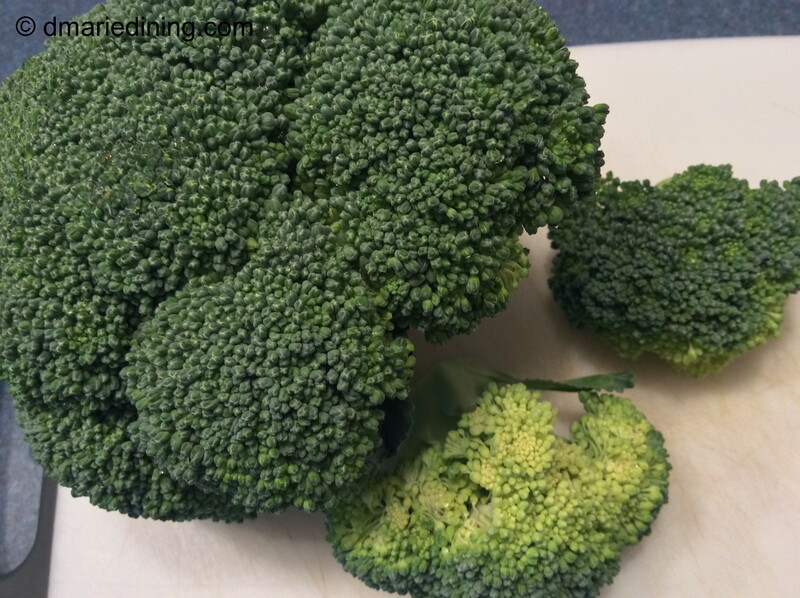 Add broccoli florets to boiling water for 3 minutes. Remove broccoli from boiling water and plunge into ice cold water (okay to add ice to the water) for 2 – 3 minutes. Drain and set aside. Melt butter in a large no-stick skillet and add flour. Whisk until smooth then add stock. Continue to whisk until sauce begins to thicken. Add sour cream and whisk until blended. Add pasta, lobster, broccoli and remaining ingredients. 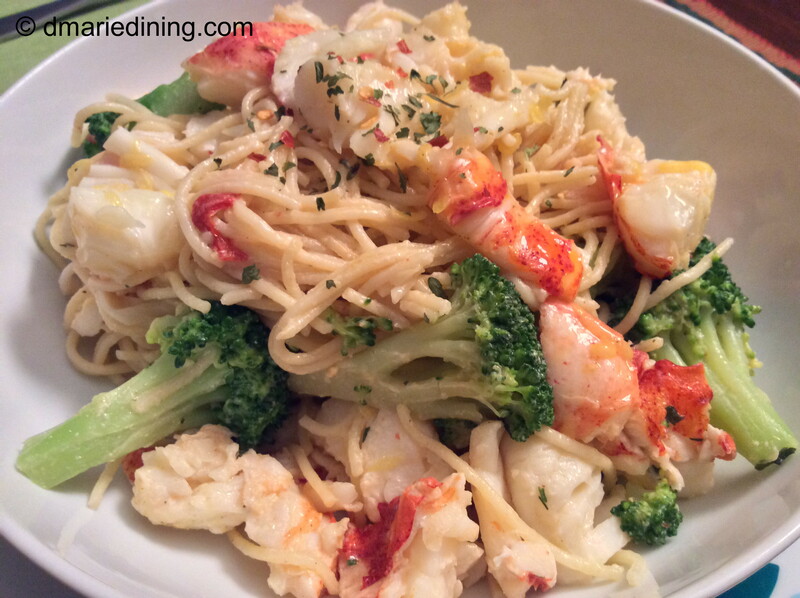 Gently toss until lobster and broccoli are well incorporated with the pasta. Service with crusty garlic bread.